There are only four more Fridays until Christmas. Ermahgeeeerd! 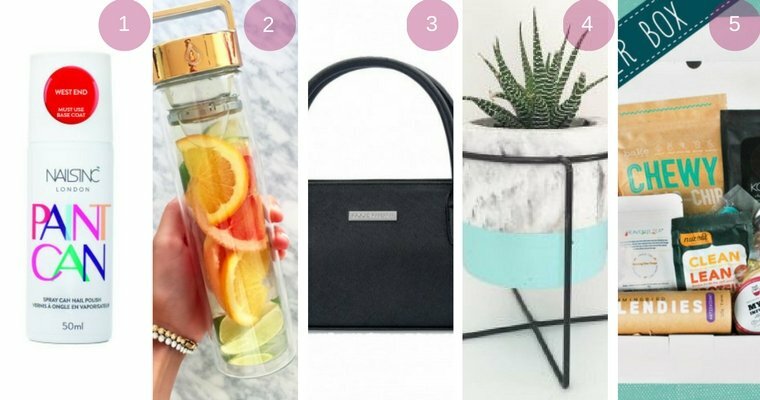 Take a deep breath, I’ve got you covered with what are seriously the best Christmas gift ideas ever! 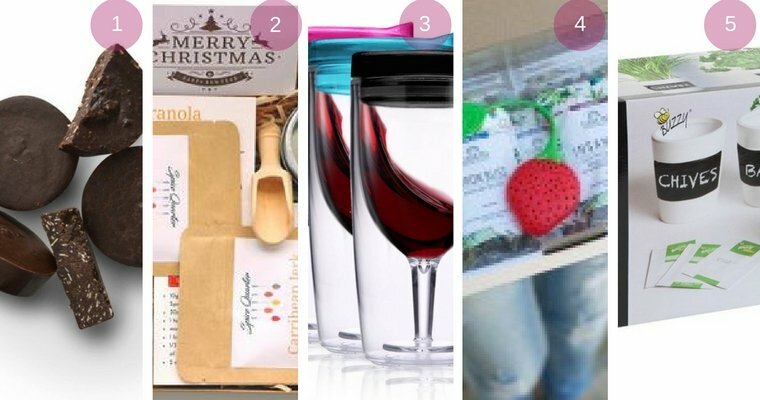 I have scoured the net to find the most awesome gifts on offer from Australian retailers both big and small, so you can spend less time shopping and more time drinking champagne this Christmas. I have thought of everyone from your BFF to your furry friends. 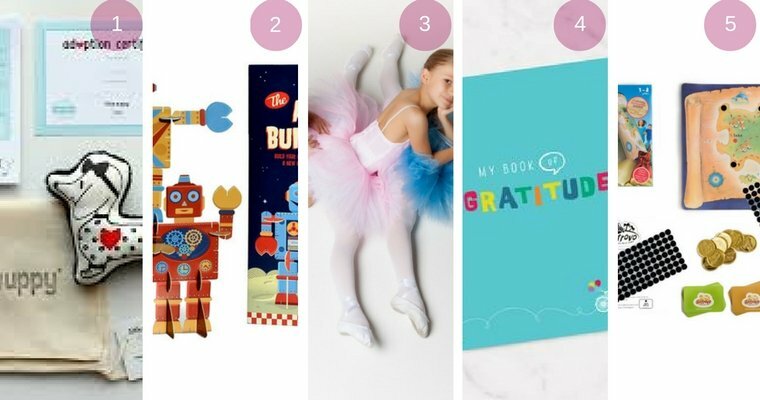 There are even 5 incredible gifts for $20 or less that are not soap or candles – yay! And the good news? You won’t have to brave the crowds. These goodies are all available online, right NOW. So grab a glass of wine and let’s do this! This could just be the most amazing beauty product ever. Spray on nail polish. Yep, just spray your nails, wash your hands and you have perfectly polished nails. It comes in 4 different shades and is available from David Jones online for $33 plus shipping. Hot tip, if you want to avoid the shipping cost, just buy online and collect in store. Click and collect literally changed my life, but warning, it is highly addictive, and bad for your credit card balance. A drink bottle designed so that you can flavour your own water, it’s genius. All you need to do is drop your favourite fruits into the centre compartment, for yummy fruit infused water all day long. Oh and did I mention it comes in the hottest colour of the season, rose gold! Now your friends and family can stay hydrated and look fabulous at the same time. Get Drop Bottle for $42 over at Luxah, an exclusive Aussie only brands shop. All purchases from Luxah include gorgeous gift wrapping and a free sample. There is free shipping for purchases over $75, and if you spend over $100 enter the code XMASHELPER at the checkout for $15 off your entire purchase. What’s cooler than cool? A designer style insulated handbag for your lunch, or wine (or both!). Throw away those daggy cooler bags, prices start at $34.95 with $10 flat rate shipping fee. Check them out at the Cool Clutch. Indoor plants are so on trend right now. But they don’t only look good, they purify the air and help create a healthier home. But every plant needs a pot, and I love the gorgeous handmade marble dipped concrete pots from Mint Pots. Choose from a black or white stand, and then have the bottom dipped in a colour to match your mates decor, there are 13 colours to choose from. The planters sell for $49 and with free delivery, make the perfect Christmas gift. You can find them on the Hart : LDN Home decor website. Know a health nut? Well treat that special nut, to a box filled with healthy sugar free treats. The Sugarfree box subscription service is now offering a one-off summer box. Each box includes a mixture of full and sample sized refined sugar free products made from the highest quality ingredients. Pick one up for $110 over at the Sugarfree Box website. P.S Santa if you’re reading…I would love one of these. Got a man in your life that loves the great outdoors? Then get him a Seaquatix, he will love that too! Seaquatix is a compact waterproof bag, perfect for storing his phone and valuables. But here’s the thing, it’s not just any waterproof bag. The technology in Seaquatix, means you can still use your phone while it’s in bag. Imagine being able to upload your photos from the surf in real-time. I know, amazing right? Seaquatix is available in a range of colours over at their website for $49.95, with free standard shipping on all orders. Say goodbye to jangly keys and scratches. Orbitkey clamps keys in a stack inside a super stylish leather pouch. It fits 2-7 keys, and you can add cool accessories like a bottle opener or USB drive. Check them out over at Orbitkey. They sell for $44.95, with free shipping on orders over $30. Each year Australians use 203kg of paper, and it is estimated that 50% of paper used by Australian businesses ends up in the bin. Introducing the Paper Saver. A notebook that looks like an ordinary leather-bound journal, but reuses printed paper. Check out how it works on the Paper Saver website, it’s totally cool. A4 Paper Savers sell for $20, with free shipping on orders over $50. Plus you get 10% off if you share the Paper Saver love over on Facebook. All the essentials, in a tool the size of a credit card. Now that’s cool. 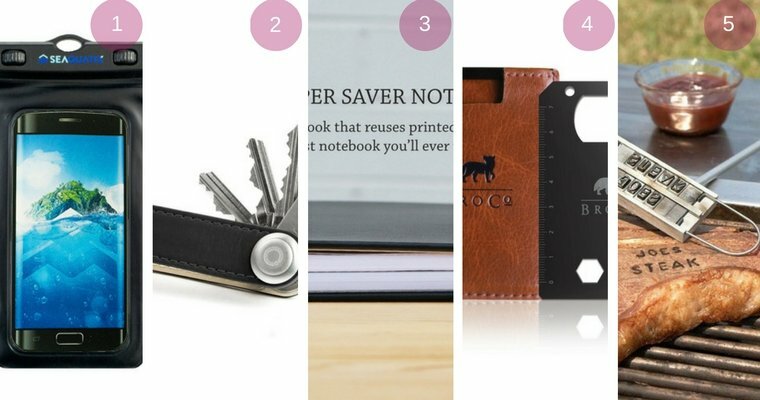 Featuring a bottle opener, hair & beard comb (cos hipsters), ruler, screwdrivers, hex wrenches and a file, the BroCard is small enough to slip into your wallet or pocket. Make sure your man is prepared for anything, anytime! The BroCard retails for $39 with free shipping in Australia. Got a man in your life that BBQs like a boss? Up his BBQ game, with a custom BBQ branding iron. It comes with 52 interchangeable letters so he can add his own personalised messages to your steaks. He will love it! They are currently on sale for $24.95 over on Yellow Octopus plus $7.99 for shipping (free for orders above $100). Do you have a little one in your life who is a worrier? Then little wuppy is the perfect gift. Little wuppy is a sausage dog worry puppy. When a child places the heart of a little wuppy against their own, they can send their worries to their little wuppy so they don’t need to worry anymore….awwwwww! Little wuppys come in 3 designs and include an adoption certificate, information card and stickers. The basic pack is $30.95, and shipping for 1-3 little wuppys is $10.95. Inspire creativity and imagination, with DIY toys from the Vintage Toy Box. They sell a range of retro inspired Build Your Own Kits, from planes to parachutes, robots, and rockets. At $16.95 plus shipping they are an absolute steal. My Best Gift is like Red Balloon, but just for kids…genius right? You can buy vouchers for activities like music, cooking or even yoga lessons. Plus there are heaps of activities and experiences to choose from under $50. 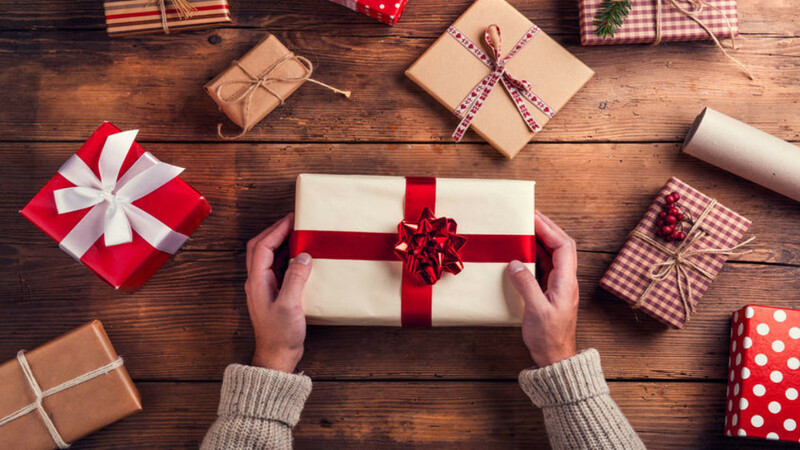 Head on over to My Best Gift to check out what’s on offer in your local area. Reflecting on the things you are thankful for can improve your health and wellbeing, but practicing gratitude is not just for adults, kids can benefit from it too. My Book of Gratitude is a gratitude journal especially developed for kids and teens. It’s a present that will make a difference all year. My Gratitude journal will be available from December, but can be ordered now from Inspired Road for $33, plus shipping. Solve the clues, follow the trail, and find the hidden treasure. Gotrovo has everything you need to create a Treasure Hunt for the little ones. There are picture clues and riddle clues to suit kids of all ages, and also comes with loads and loads of different clues so it can be used over and over again. Gotrovo Treasure Hunt was developed by two British Mums, and is super popular in the UK. It has only just landed in Australia and is available on Hard to Find for $56, shipping is FREE! Those little things – gifts $20 and under…. Cleo & Marc have developed a range of handmade Australian coffee body scrub bars to polish, exfoliate and moisturise your skin. They are completely free from synthetic preservatives, SLS, phthalates, parabens and not tested on animals. They come in five great scents – vanilla, peppermint, coconut, orange and there is even one just for the guys, ‘the Marc’. At only $20 for a sample pack containing 3 full size bars, they make an awesome Christmas thank you gift for teachers or neighbours. Plus right now, there is free shipping within Australia. Get on it! Send someone special a Spice Quarter gift box containing two spice blends, matching recipe cards, two collectible spice tins and a mini spice scoop! Spice Quarter spice blends are organic, vegan and paleo, and free from MSG, fillers, preservatives and additives. The boxes sell for $20, plus $10 shipping. But get 10% off your first order by signing up to Spice Quarter website. If you like it then your sure to put a lid on it. These spill free wine tumblers are perfect for a sneaky glass of wine by the pool, or at your next picnic. They are double wall insulated and BPA free. Just pour close and sip. The Travino is $14.95 and comes in 3 different colours – black, pink and blue, with $7.95 shipping on your entire order. Check out the Travino website for all the details. Clean Teas range of loose leaf pure herbal tea are organic and handmade near Byron Bay. Their tea sample pack, contains 6 serves of their 5 best selling herbal teas and comes gift boxed with a complimentary tea infuser. You can grab your sample pack for $20 (or $22 with a pretty red Christmas ribbon) plus shipping of $7.60 per order or free for orders over $50. Give someone the gift of fresh herbs, with a Mr Fothergill’s grow your own herb kit. The kit includes 3 planters with super cute chalkboard panels to name your herbs, and 3 packets of herb seeds. The kits are available online for $12.95 plus $8 postage, and are also stocked in Bunnings stores across Australia. 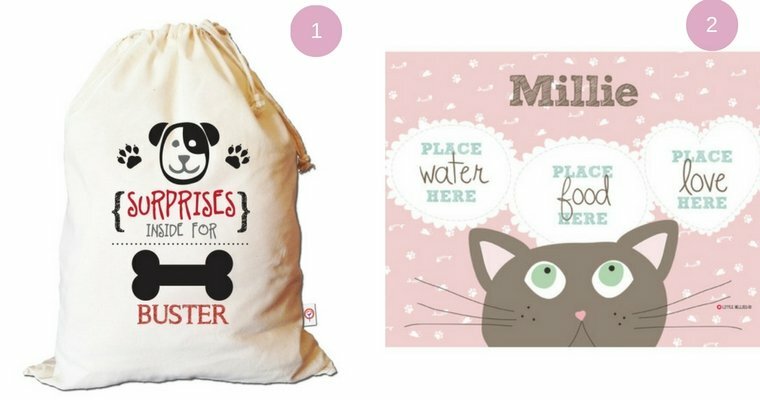 Every doggie deserves their own personalised Santa sack, and once Christmas is done, you can use it to store their doggie treats and toys. You will find them over at the Hard to Find website, for $44 with free shipping. No need for poor kitty miss out this Christmas. Hard to Find also has gorgeous personalised cat placemats in pink, green and blue. At $24.95 plus free shipping, they are the perfect Christmas gift for your furry friend. What are your best Christmas gift ideas? And don’t forget to tell me what’s on your Christmas list, Santa might be reading. P.S I am not affiliated or sponsored by any of these brands, and haven’t tried the products myself. They just sound so completely awesome, I wanted to share them with you to help make your Christmas as easy and stress free as possible.